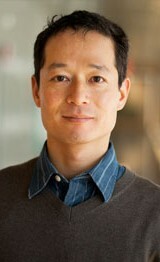 His research group investigates simulation-based and data-driven computational synthesis of for mechanical, industrial and biomedical systems. The target systems are modeled by utilizing tools and algorithms in computational mechanics, geometric reasoning, image recognition, statistical data processing, and optimized by numerical optimization algorithms. Recent application domains includes lightweight automotive structures, intelligent transportation systems, water desalination systems, energy-efficient production systems, biomedical deformable image registration, and statistical protein energy potentials. Solar-powered desalination systems for resource-restricted environment. Numerical simulation, optimization, and data mining techniques are utilized to synthesize decision trees among feasible technology alternatives for water desalination systems in rural communities with limited infrastructure access.